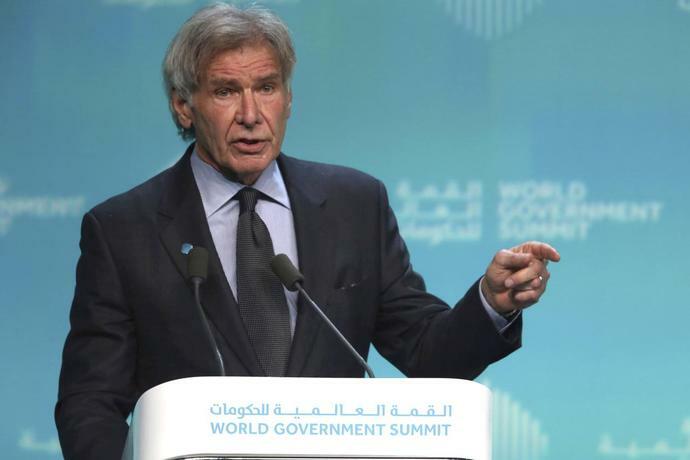 Actor Harrison Ford has offered an emphatic plea for protecting the world's oceans, calling out US President Donald Trump and others who "deny or denigrate science". Though never saying Mr Trump's name, he clearly targeted the American president within the opening moments of his remarks. "Around the world, elements of leadership - including in my own country - to preserve their state and the status quo, deny or denigrate science," Ford said. "They are on the wrong side of history." On Monday, the president tweeted that Democratic senator Amy Klobuchar announced her presidential run "talking proudly of fighting global warming while standing in a virtual blizzard of snow, ice and freezing temperatures". "One way or another, every living thing here needs me," Ford growls in the video. "I'm the source. I'm what they crawled out of." 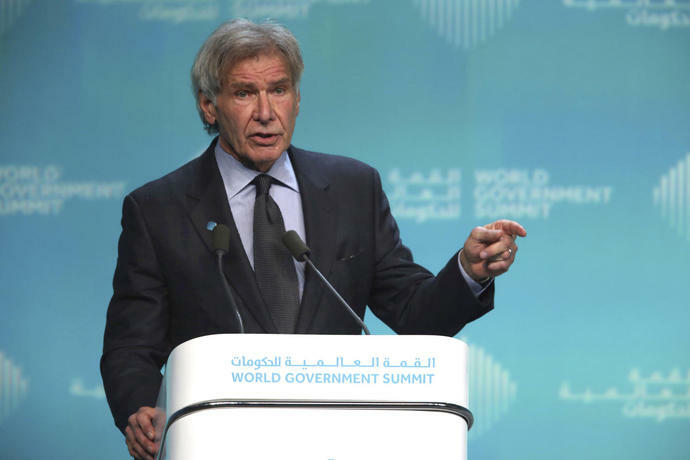 "We are faced (with) what I believe is the greatest moral crisis of our time," he said. "That those least responsible for nature's destruction will suffer the greatest consequences." Ford added: "We need nature now more than ever because nature doesn't need people, people need nature."